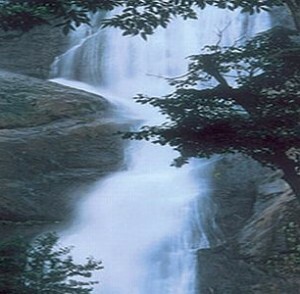 This waterfall is situated 5 km from Kollam town. Palaruvi, which means ‘stream of milk’, makes its way down the rocks, from a height of 300 feet. The Palaruvi woods are a beautiful picnic spot. The Inspection Bungalow and the Motel offer comfortable accommodation. This entry was posted in Kerala, Palaruvi and tagged Falls, palaruvi waterfalls, water fall, waterfall, waterfalls. Bookmark the permalink.